Check out the latest Target Beauty Box News on My Subscription Addiction! 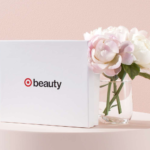 Target Beauty Box – 2 New April 2019 Boxes Available Now! Target Beauty Boxes Available In Stores – New Boxes! New Target Beauty Boxes – Available In Stores Only! March 2019 Target Beauty Box – Available Now! Target Beauty Boxes for Black History Month – Available Now! January 2019 Target Beauty Box – On Sale for $5! January 2019 Target Beauty Boxes – Available Now! Target Beauty Box Sale – December Boxes for $5 + BOGO on Holiday Boxes!